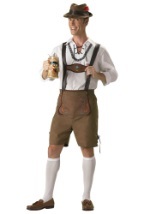 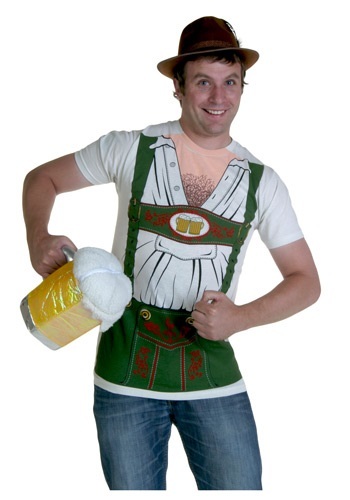 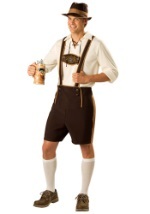 During Oktoberfest everyone is a little bit German--wear this Octobeerfest T-Shirt Costume For Men and join the fun! The 100% cotton T-shirt has a lederhosen print on the front, including a hairy chest! 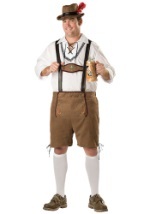 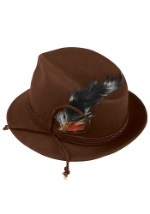 Add such accessories as a Bavarian hat and a plush beer mug. 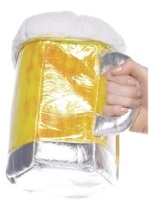 Bring your own beer!